LACONIA — She’s just a high school senior, but Sydney Shepherd has it all figured out. 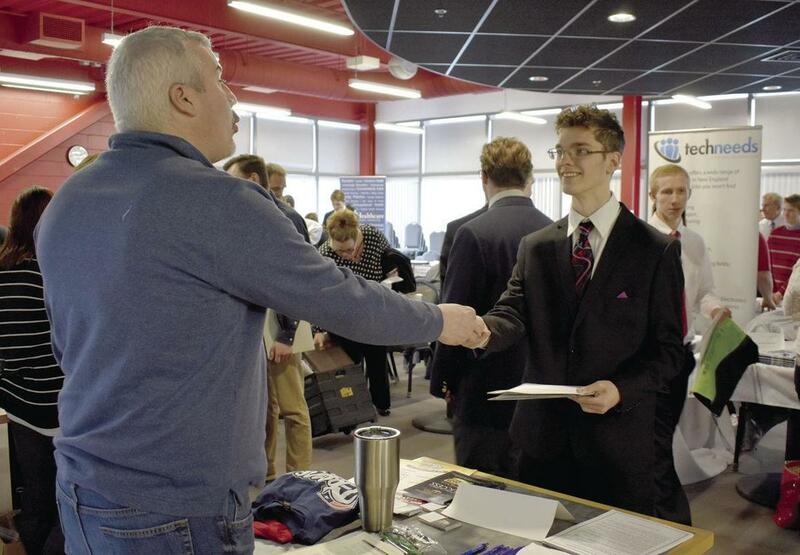 Shepherd was one of dozens of high school seniors who were at the Huot Technical Center Thursday morning for the annual Career Fair. Representatives from more than 20 local businesses looking for new employees were on hand to meet the young people. Sharon de la Vergne, career support specialist at the Huot, explained this is a chance for the young people to try out their job-searching skills. They needed to dress for success, bring a resume and be ready to speak about themselves. Tiny House Brings Out Big Turnout at Huot Technical Ctr. 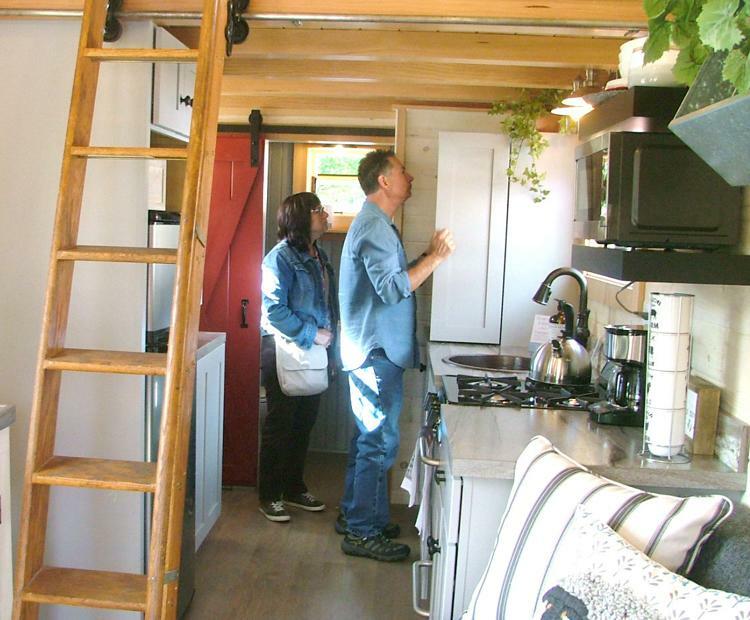 LACONIA — More than 100 people turned up Wednesday afternoon to tour a tiny house built by students at the Huot Technical Center, and were left impressed by what they saw. “This is wonderful,” said Jeanine Fitzgerald of Laconia, after she and her daughter, Katie, emerged from a tour of the 192-square-foot house. The house features running water, electricity, a full kitchen, storage and a bed/loft area that is accessed via a library ladder from the 1920s. There’s also a 32”x32” shower, a four-burner gas range and heat and air conditioning. Some people even thought about buying the home. A cautious youngster from Carolyn Lahey's preschool class extends a small hand as a breadbox sized collection of wires, gears and sensors slowly rolls forward. 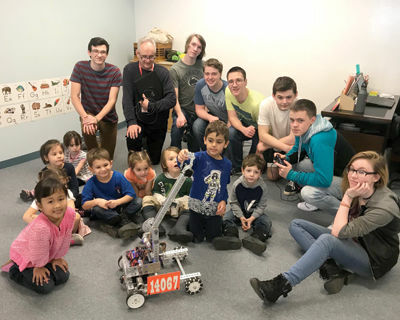 The high school student controlling the robot is equally cautious as he remotely operates the machine's metal gripper into position. The high five is a success and three more volunteers rush forward. Just another day for students in Huot Career and Technical Center’s Computer Programming class.